There’s nothing like a good slice of pizza from a wood fired pizza oven. Magnifico! But what is the secret for making the best pizza? 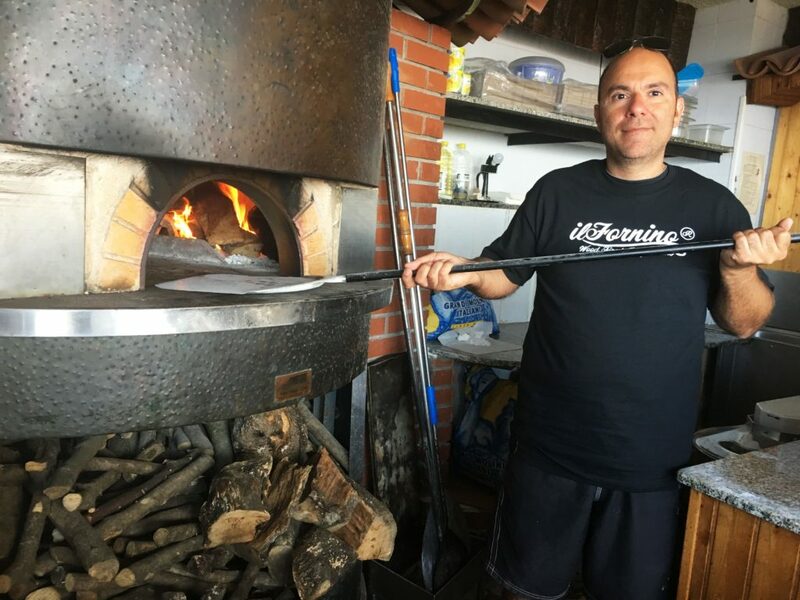 That’s the question that drove the founder of ilFornino® New York, to Italy in search for ideas and inspirations for making authentic Italian pizzas in the ilFornino® wood fired pizza oven. His first stop was Portofino in Northern Italy. From there he traveled south throughout the country; his trip culminating in the breathtakingly beautiful island of Sicily. Along the way, he discovered a difference in pizzas from region to region. Italian pizzas vary in dough texture, dough hydration, and even, in the types of flour used. Based on the flag of the newly-unified Italy, Neopolitan chef Raffaele Esposito created a pizza in the colors of the flag – green basil, white mozzarella, and red tomatoes. The “ Margherita Pizza" was named in honor of a visit to Naples by Queen Margarita in 1889. Authentic Neapolitan pizza (pizza napoletana) is made with San Marzano tomatoes, which are grown on the volcanic plains south of Mount Vesuvius, and mozzarella di bufal Campana , made with milk from water buffalo. Other traditional pizzas include pizza alla marinara, which is topped with marinara sauce and is, allegedly, the oldest tomato-topped pizza. Pizza capricciosa is prepared with mozzarella cheese, baked ham, mushrooms, artichokes, and tomato. Chris’s quest to find the best pizza for the ilFornino wood fired pizza oven didn’t stop there, however. He also tasted pizza pugliese , prepared with tomato, mozzarella, and onions, followed by the Sicillian pizza, locally named sfinciuni or sfincione (translated to mean “thick sponge”). The crust of this popular variant of pizza in Italy is more like bread than pizza. It is a thick-crust or deep-dish pizza originating during the 17th century in Sicily. Essentially, it is a focaccia topped with tomato sauce and a variety of other ingredients. Additional variations of pizzas from other regions in Italy included pizza al padellino or pizza al tegamino, which is a small-sized, thick-crust and deep-dish pizza typically served inTurin, Piedmont. One of the secrets Chris discovered while looking for the perfect pizza to bake in his wood fired pizza oven was digestibility. The Italians give their dough plenty of time to rise; typically 24 to 48 hours. Apparently, when the dough is made correctly, as it is in Italy, it is light and easy to eat. When served a “slice” of pizza in Italy, Chris thought it appeared to be large enough to feed an entire family. But before he even realized it, he had eaten the whole thing by himself without a problem. Never put cold sauce on pizza dough. It should always be at room temperature or slightly warm. The lesser the ingredients the better is the pizza. Pizza must be baked in a wood fired pizza oven and eaten on the spot. 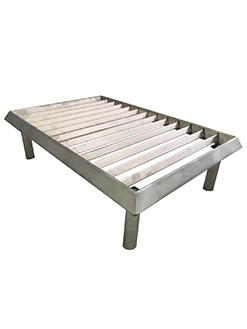 Pizza crusts vary based on the types of flour used. 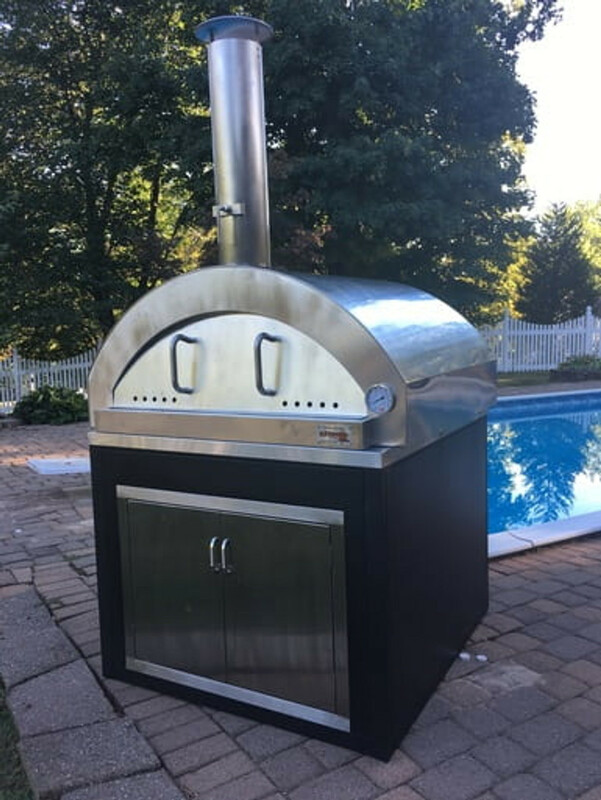 At the completion of his journey of discovery, Chris was confident he would be able to replicate these Italian pizzas by making them in the ilFornino® wood fired pizza oven. Delizioso! As a result ilFornino New York will be offering classes soon on how to make your wood fired pizza Italian style. Classes will include making Mozzarella® cheese, making pizza dough and mastering your ilForrnino wood fired pizza oven.